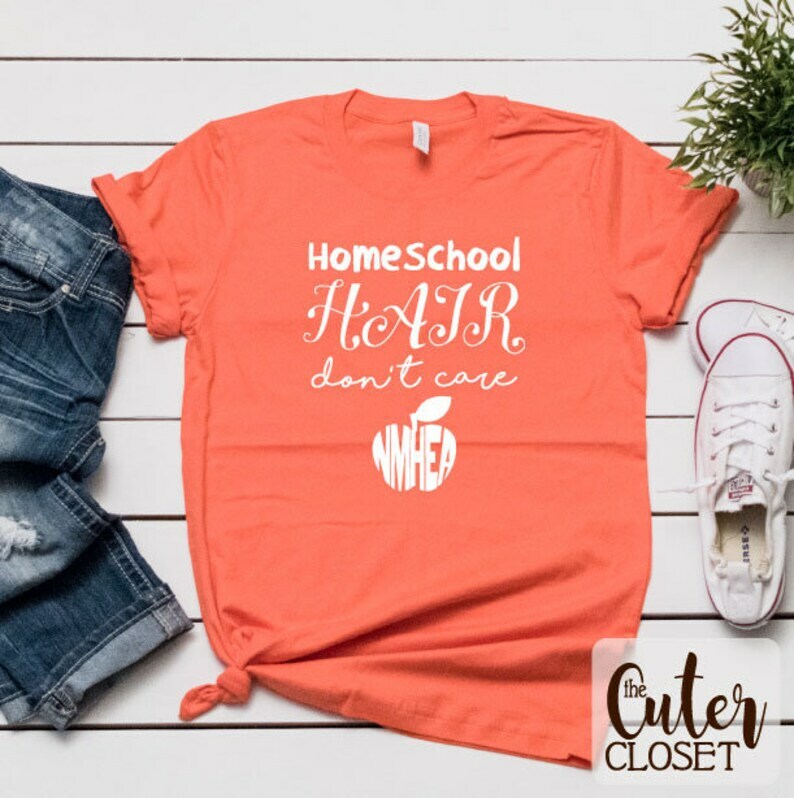 Get your NMHEA homeschool t-shirt for 2018/2019 here! Made with Gildan 100% cotton tee. Available in Coral only. Colors available pictured in slideshow. 1. Select size. Be sure to check sizing chart pictured in slideshow as Bella t-shirts may run small. 3. Click [Add to Cart]. Allow 1-2 weeks for delivery. Delivery is usually much quicker, but I make allowances for my suppliers, so you will not be inconvenienced.